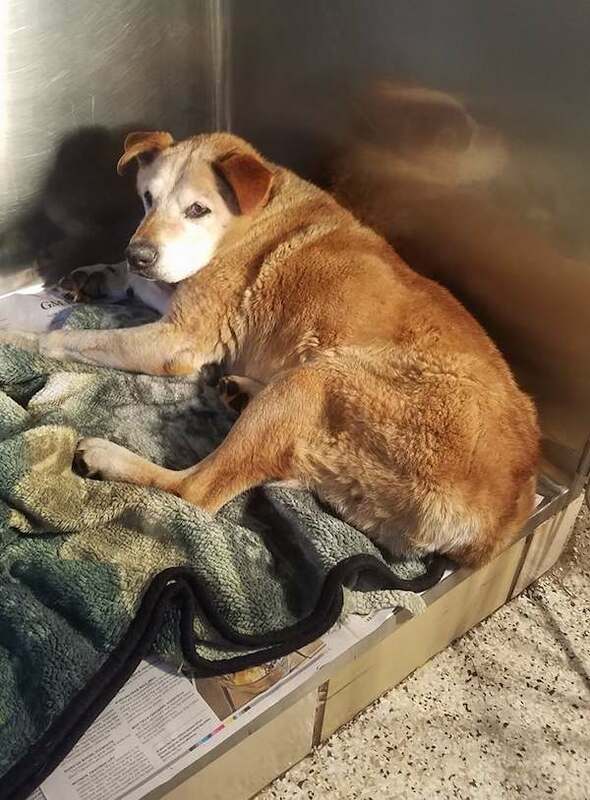 An injured dog was found frozen to the ground in the freezing cold after being stuck there all night in Flint, Michigan. And that wasn’t the worst of it. Streethearts Animal Rescue says a witness heard him get hit by a car before getting stuck. 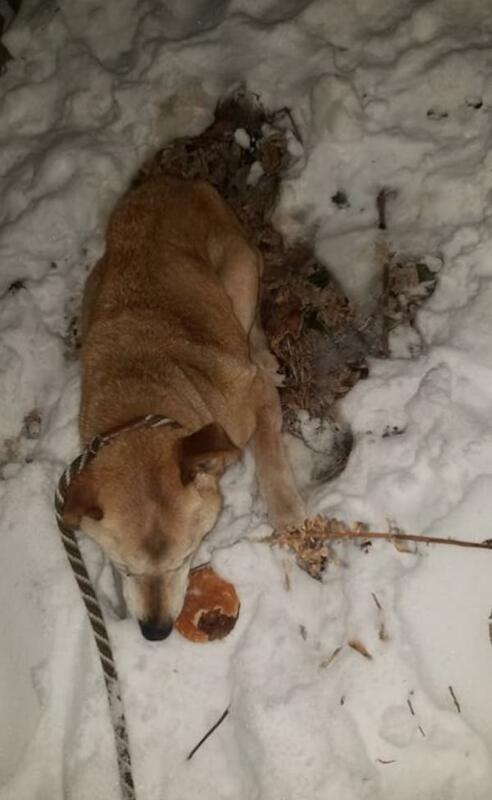 The witness looked into her backyard the next day and saw the injured dog lying there, frozen to the ground. She immediately called 911 for help. Volunteers from Streethearts Animal Rescue hurried to the scene. Once he was safely off the ice, they rushed him to a veterinary hospital. Their first priority was to check his body temperature and find out if he had any organ damage or failure. They gave him morphine and warming fluids, and thankfully his body temperature was miraculously ok. The dog, who they’re now calling Feliz, had a shattered femur very close to his hip socket. Because of the close proximity, they were unsure if surgery or amputation would be a better option. After speaking with different surgeons, they decided to go ahead with the surgery. The surgeon will place pins in and through Feliz’s femur bone and ball socket. Unfortunately, the surgery has been put on hold because they found a foreign object in his stomach during an ultrasound. They believe that he could have swallowed a large mat with wood chips in it while he was being groomed. Once the object passes his body, they will move on with the surgery. While he is recovering, they are trying to keep him as comfortable as possible. Now they are also trying to find his owners. They believe he is someone’s pet who got lost, rather than a stray. 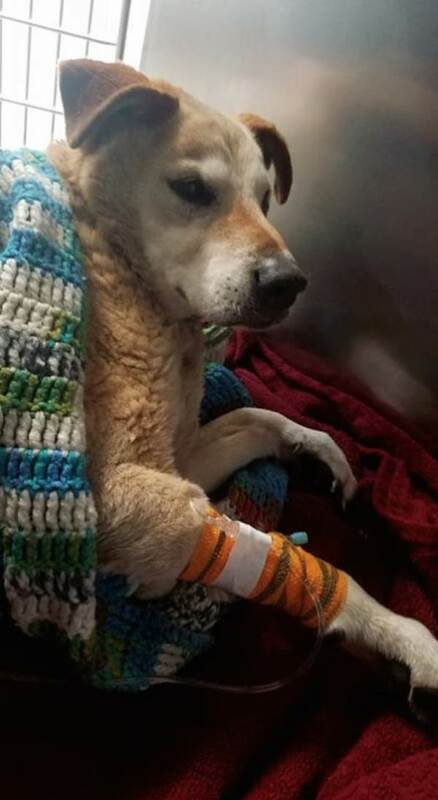 Heatley hopes that his owners will come forward while he is recovering, but if not, they will find him a loving home. The winter cold is just as dangerous as the summer heat for animals. If you see an animal in need in the cold weather, call officials or a local rescue as soon as possible! Click here for updates on Feliz.